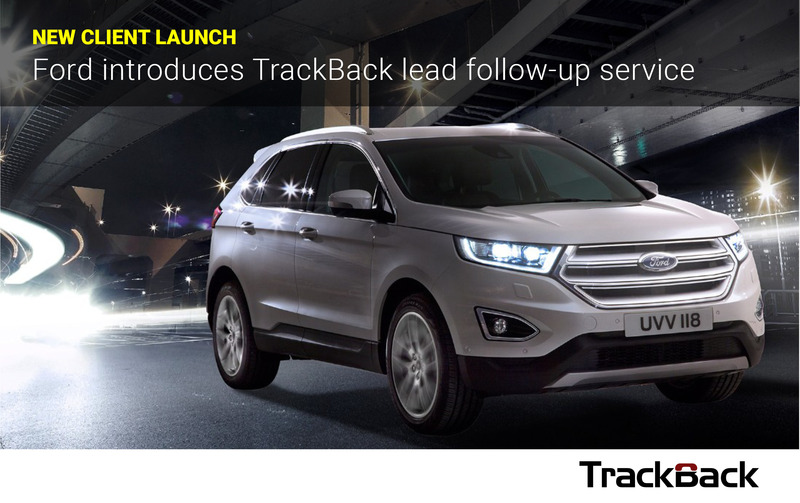 TrackBack is pleased to announce that Ford of Britain is the latest automotive client to use TrackBack’s award-winning lead tracking and reporting service. Integrating with Ford’s existing Lead Management System, TrackBack will provide Ford with an objective and accurate measurement of lead follow-up by its Dealer network, and identify how quickly and professionally these are actioned. TrackBack is an increasingly important tool for most OEMs to connect the online requests submitted through their own websites and the offline experience, such as test drives, offered by dealers. The data offered by TrackBack will provide valuable insight for Ford and its Dealer partners around the critical key performance indicator of the speed of customer contact and will support the conversion of these online enquiries into sales appointments. With the option of call recording capabilities supporting quality analysis and the identification of training opportunities. This latest launch grows TrackBack’s enviable client list, with representation from most major automotive groups – Ford, General Motors, SEAT, PSA Peugeot Citroen, FCA, Mercedes-Benz and Hyundai. TrackBack operates in 23 countries with reporting in 16 different languages. To find out more, or to request a demonstration, please contact enquiries@trackback.net or call 0203 13 13 111.